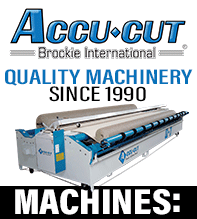 The machines are very reliable, in fact we have some customers that are still using the same machine that they purchased from us over 20 years ago! The machines are very easy to work on in case there is something that needs to be repaired and many times we can walk you through minor issues over the phone. We have some customers that go for years without a single issue. If anything does go wrong repairs are very affordable. We ship all parts from here in the USA and can overnight parts if need be. A lot of our customers have us come by every 6 months to do a tune up on their machine for $329 per visit. This is a great time to be in the turf business and a great time to invest in equipment for your business. The machines are a tax write off under section 179 of the IRS tax code. The T-44 can dump the material off of either side of the machine by turning a switch. The user would simple walk around to one side of the machine and use the foot cable to tape or stretch wrap the cut and then dump the cut off. Then the user would walk around to the other side of the machine to tape or stretch wrap the balance and dump the balance off onto the floor.